Michelle Obama, wife of immediate past President of the United States, Barack Obama has said she would not run for the US president in 2020. Telegraph Newspaper reports that Mrs. Obama stated this while speaking at a women’s leadership conference in Boston on Friday. “She wasn’t perfect but she was way more perfect than many of the alternatives. “I think people should be less disheartened that me and Oprah don’t want to run, and more disheartened by the fact that Hillary Clinton, probably the most qualified person to ever seek the office of the presidency, lost. She lost. 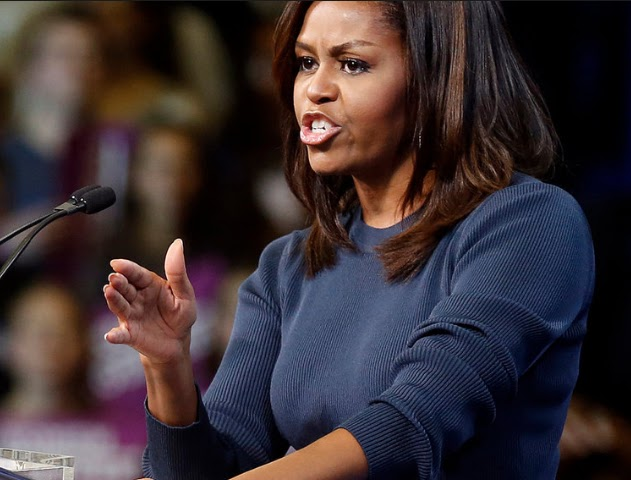 ” Asked about why she didn’t want to run herself Mrs Obama said: “The reason why I don’t want to run for president – I can’t speak for Oprah – but my sense is that first of all, you have to want the job. “And you can’t just say ‘You’re a woman. Run’. We can’t look for women like that. We can’t just say let’s find the women we like and ask them to do it because there are a million women who are inclined and who do have the passion for politics. “I’ve never had the passion for politics.